Bigger Homes at the rates of smaller one. 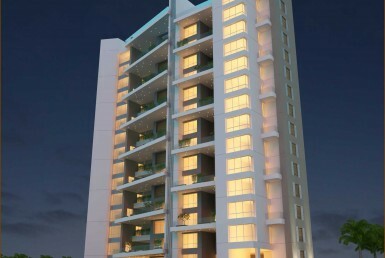 Kanchan Eleena Homes represents the best Real Estate Investment in Hinjewadi. The magnificent and peaceful residential complex is situated in the IT hub of Pune along the Wakad Highway. Lifestyle and quality paradigms have been redefined to establish certain uniqueness that you would never find elsewhere. Here is your opportunity to Grab a Bigger Home at the rates of Smaller Ones in the surrounding areas. Project ready to deliver the biggest size 1 bhk flats sale wakad Pune. Possession in July 2018. Its a beautiful 2 Acres of a project with lush greenery and has the configuration of 1 BHK and 2 bhk soon to be possession flats in Hinjewadi. The location was strategically chosen nearby Bhumkar Chowk so the residents travelling or commuting to Hinjewadi phase 1, phase 2 & phase 3 or Baner or Wakad location can travel without any hassle or traffic as this project has 3-way connectivity from Bhumkar Chowk, From Wakad Bridge and from Hinjewadi Chowk Road.